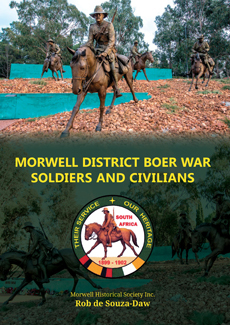 "Morwell - Past to Present"
"Morwell District Boer War Commemorative Service"
The Morwell Historical Society was formed in 1962 with an ongoing goal to promote, preserve and record securely the history of Morwell and district which includes the areas of Churchill, Driffield, Hazelwood Estate, Hazelwood South, Hazelwood North, Jeeralang Junction, Jumbuk, Morwell Bridge, Derham’s Hill and White City, and to make information in our archives readily available to the general public. This photo is of the Post Office as it was on the corner of Commercial Road and Tarwin Street where the Commonwealth Bank now is. Note there is no clock which dates the photo to the 1930s as a clock was not installed until 1937. 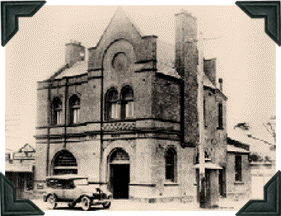 The Post Office is such a centrally recognizable building of Morwell and we have adopted it as our Society's logo.